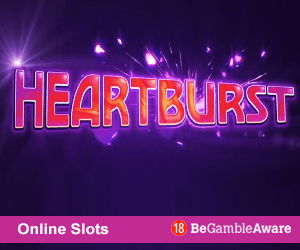 Fluffy In Space Slots & Bingo Sites! Travel in Space with our new Favourite Fluffy Adventure - Fluffy In Space Slots! Eyecon, a well-known software developer company in Britain, is the developer and provider of this exciting 25-payline slot. 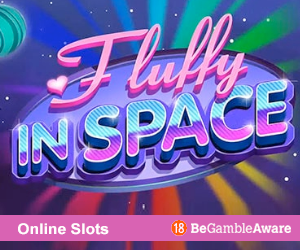 Fluffy in Space reunites characters from Eyecon's previous creations for a cosmic journey in this highly-anticipated video slot. Join the fluffy friends aboard their rocket for exciting bonus features such as Fluffy in Space re-spin, and traditional free spins. As you would expect from a Fluffy slot game, the gameplay is simple. The Fluffy in Space Slots grid is made up of 5 reels, 3 rows, and 25 paylines. You can secure 0.01-0.50 per line, which lets you, pay as low as 0.25 for each spin or as high as 12.5 credits. The reels reveal colourful symbols represented by ducks, turtles, pandas, lions, hippos, giraffes, rhinos, fishes and other personages. All the characters are dressed in adorable astronaut helmets and are prepared to skyrocket you to good wins. Will the signs align for a great win? There is just one way to find out; pick your initial bet, the number of paylines you want to begin with, and keep your fingers crossed for a galactic combination of icons. Focus on the prize and look out for the wild symbol and the scatters. The symbols rotate within a floating purple frame and the game is accompanied by a great tune. There's only one wild symbol which appears on the 2nd, 3rd, 4th and 5th reels. It substitutes all other symbols apart from the pink elephant (Nellie) and the planet. The wild symbol doesn't pay standalone winnings. There are 2 scatter symbols: the planet and the familiar pink elephant character which we have seen in many Fluffy Favourite Slot games. The planet can be seen at all the corners of the 5x3 grid and is responsible for awarding free spins. In addition to the free spins, this scatter symbol also pays up to a maximum of 50x the wager. The pink elephant, called Nellie, is the 2nd scatter symbol, and it only appears on the 2nd, 3rd and 4th reels. This scatter does not bestow wins on its own. A rocket symbol is the most valuable regular character worth 200x the stake amount. 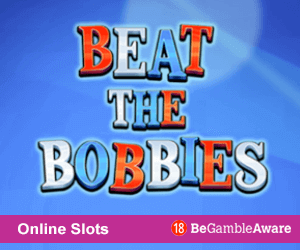 5-of-a-kind combination of pandas, hippos, gorillas and hippos pays up to 150x the bet amount. Lions or turtles pay out 75x while the giraffes, ducks and rhinos pay up to a maximum of 50x. There are 2 kinds of bonus features in the Fluffy in Space slots game that are delivered by the gang of adorable fluffy astronauts: free spins and Fluffy in Space re-spin feature. 6 free spins are triggered by the planet and up to 50 more spins can be launched within the round. The other scatter, Nellie, launches the Fluffy in space re-spin feature, in which every pink elephant leads to 3 bonus rotations. The more the elephants, the better! In total, up to a maximum of fifteen Scatters can be on the 5x3 grid by the end a round, and the potential win is up to 500 times the wager amount. Like most Eyecon Slots, you can play on very many platforms. These Online Bingo Sites with Fluffy in Space Slots include the popular bingo club brands Buzz Bingo Club, Mecca Bingo . This fascinating video slot offers a Return to Player percentage of (RTP) is 96.3%. If you loved the burst of cuteness in the original Eyecon game, Fluffy Favourites, then you will definitely love Fluffy in Space Slots. It has plenty of cheerful characters, and the bonus features add to the excitement, particularly the pink elephant's bonus, which is relatively easy to launch.